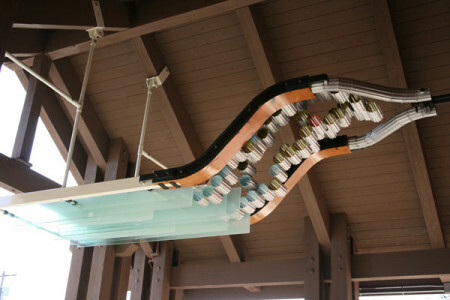 Oregon City Chamber of Commerce, in collaboration with the Clackamas County Arts Alliance and the City of Oregon City, OR commissioned Nick Thomas of Portland to create Future Flow, a permanent artwork at the entryway of City Hall in downtown Oregon City. 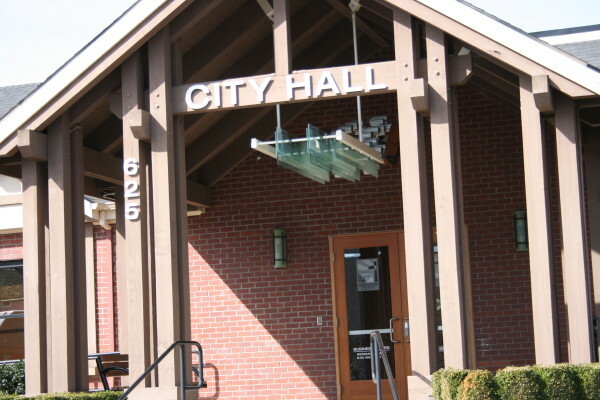 The artwork was a gift to the City and the citizens of Oregon City, privately funded by numerous donors, and intended to honor the legacy of former Mayor Alice Norris. The artist utilized a variety of reclaimed materials from the Oregon City area to create Future Flow, which includes old lamp posts which used to line the streets of Downtown Oregon City and reclaimed timber from an old lumber mill.